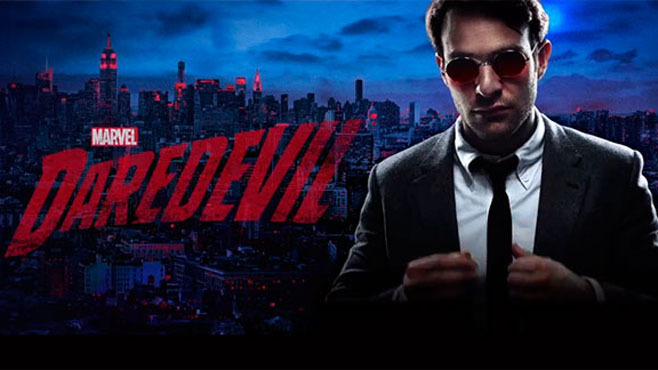 Two weeks ago, Daredevil Season 1 debuted to instant acclaim, which led to a fast renewal from Netflix. And if series star Charlie Cox has his way, Daredevil Season 2 will bring in more iconic characters from Marvel’s comic book universe. Cox confirmed that Daredevil Season 2 will begin filming in a few months before speculating on Netflix’s schedule for the remaining Marvel live action shows. A.K.A. Jessica Jones, Marvel’s second live action series on Netflix is expected to debut later this year. All 13 episodes of Daredevil Season 1 are currently streaming on Netflix.